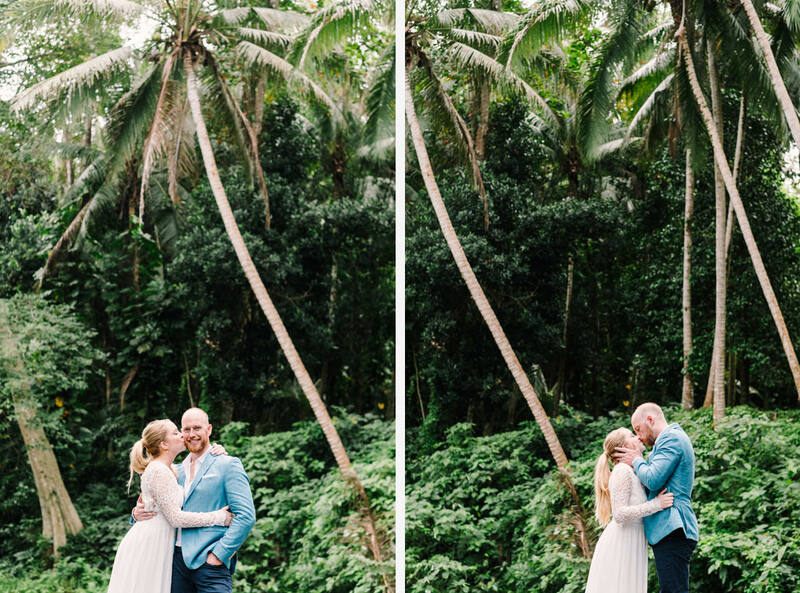 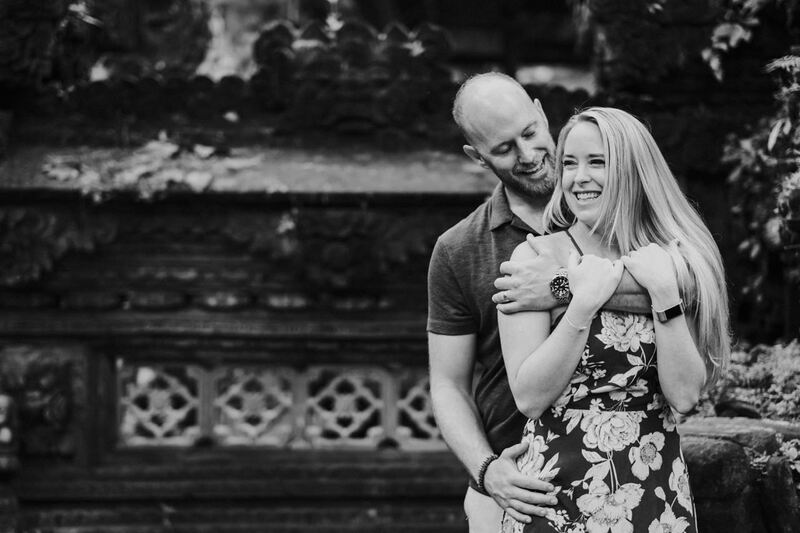 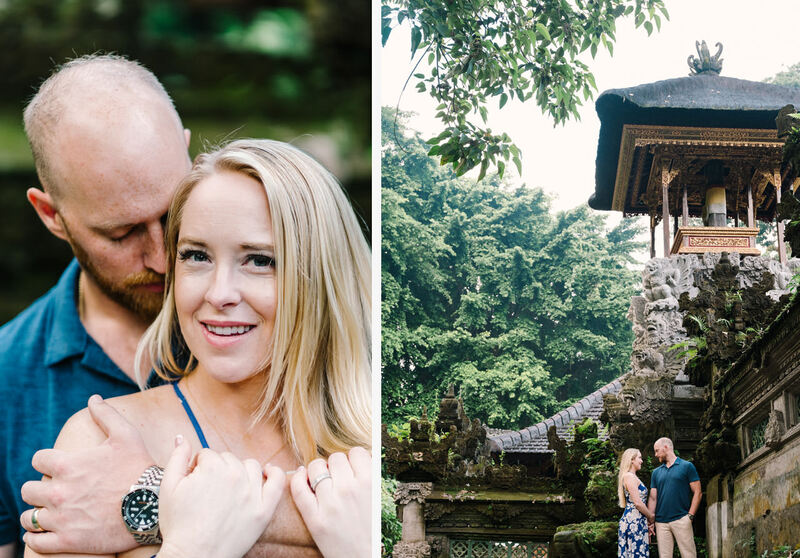 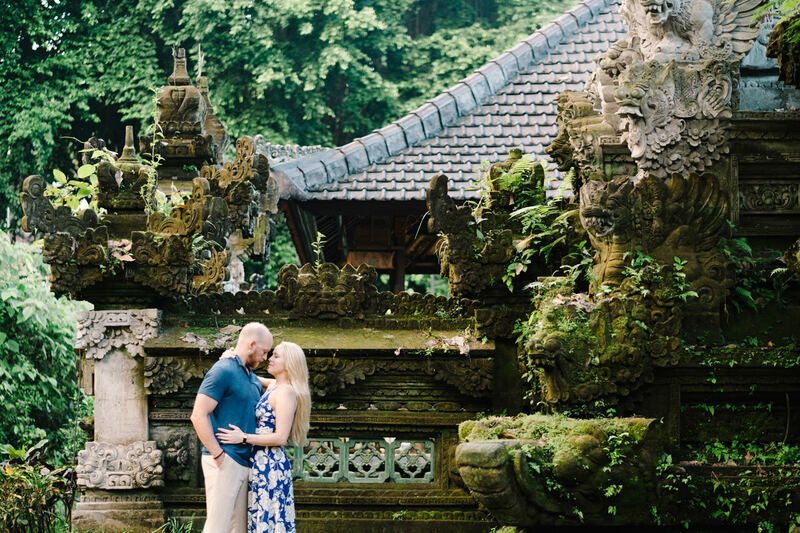 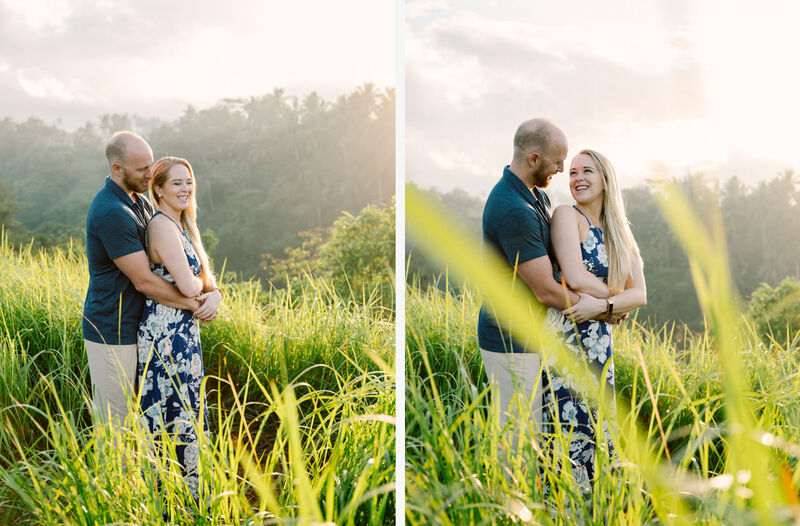 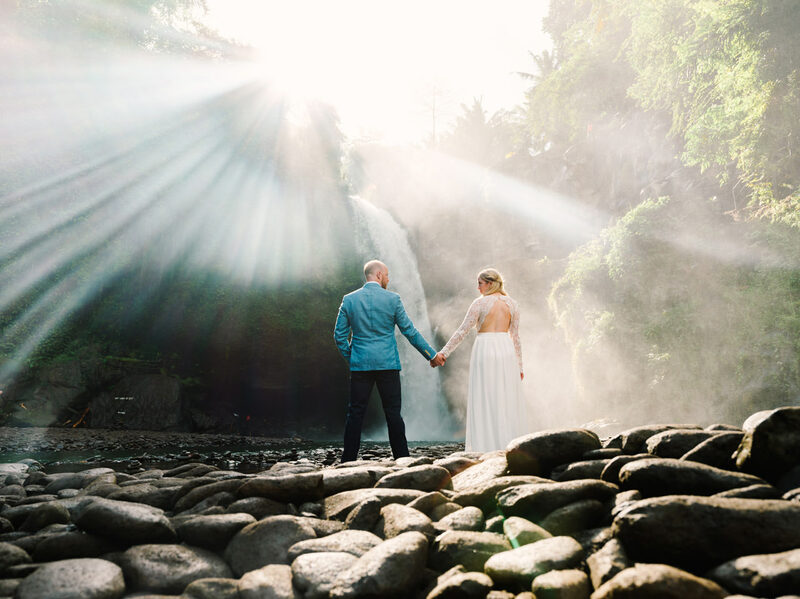 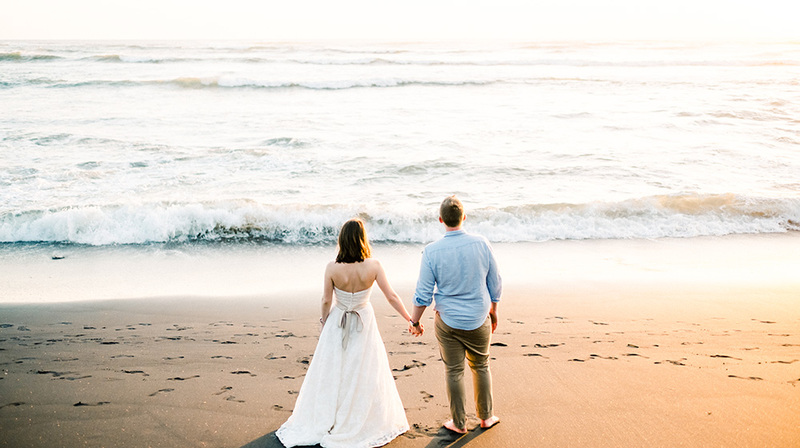 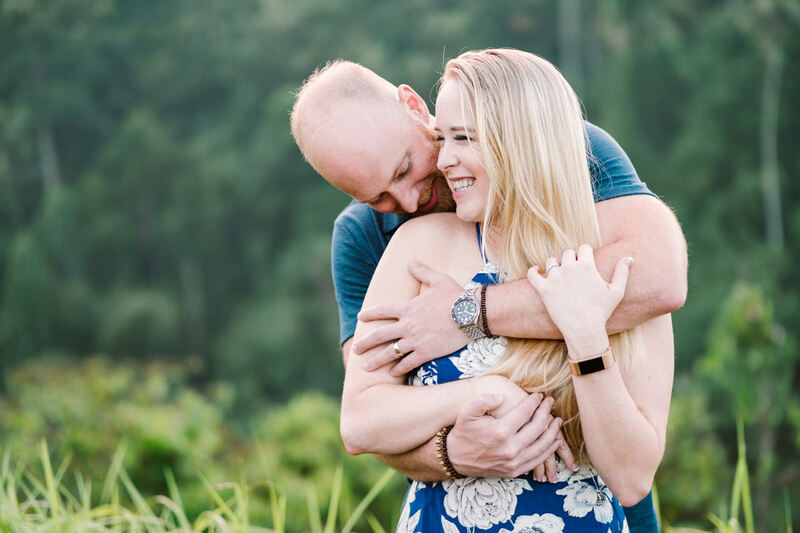 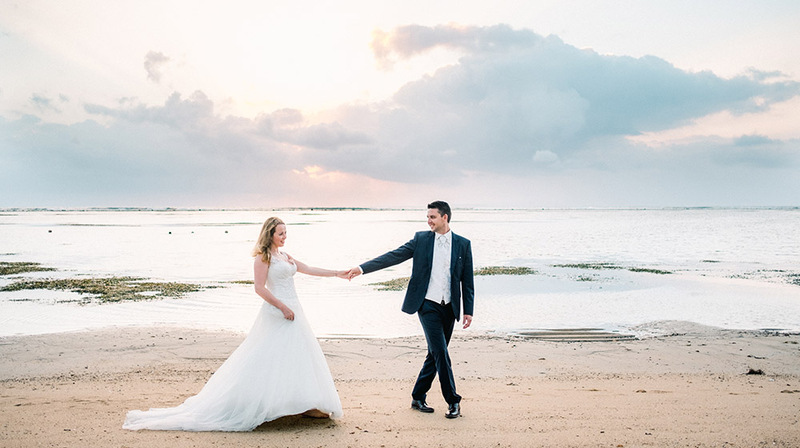 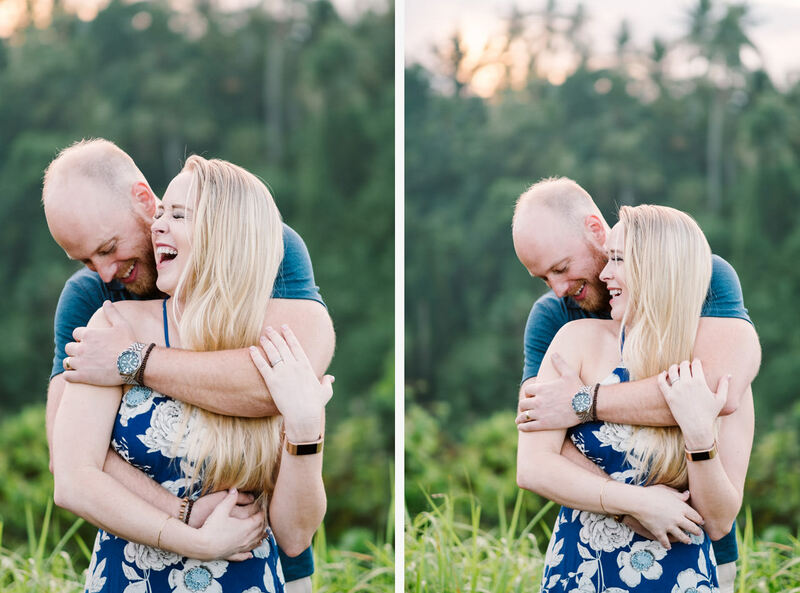 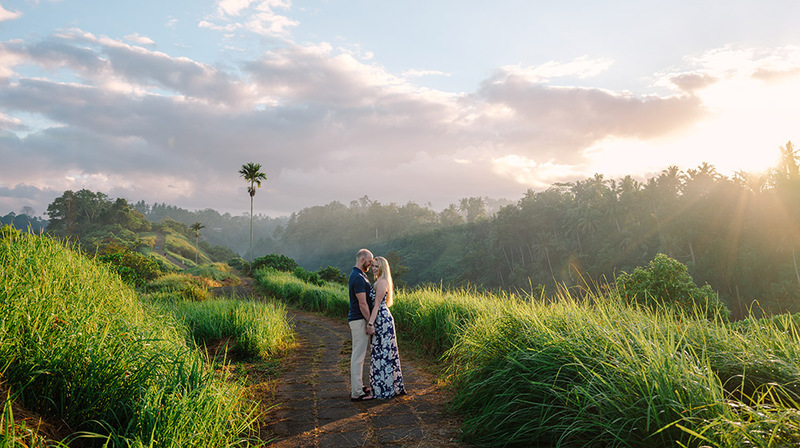 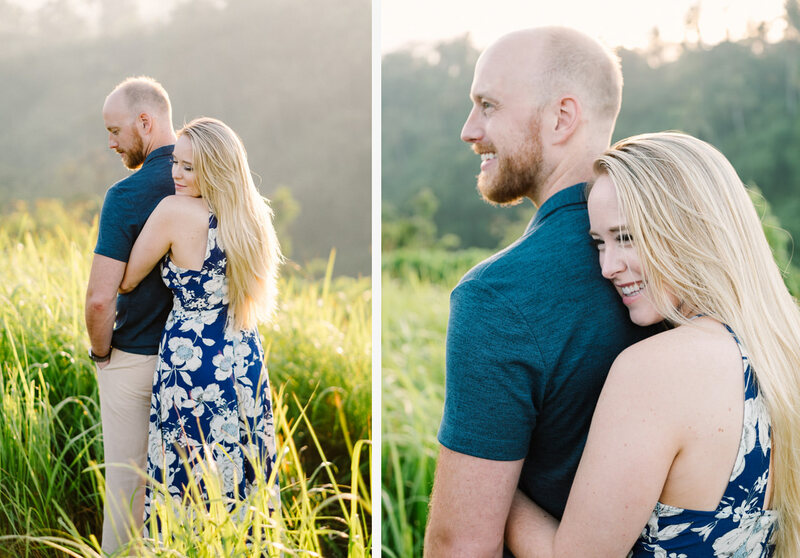 Honeymoon Photography at Campuhan Ridge Walk is one among the most favourites location in Ubud to photographs. 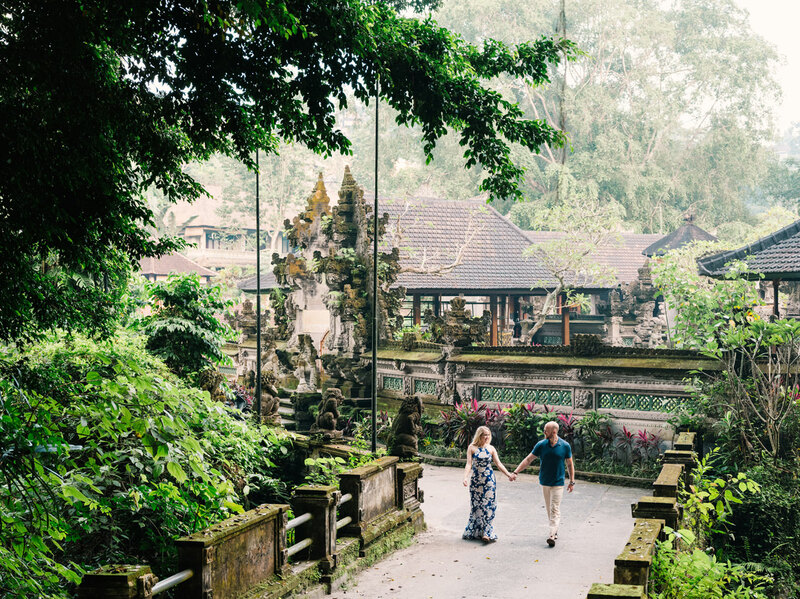 The spot is free and easy nature trek, popular among repeat visitors to the central highland town of Ubud. 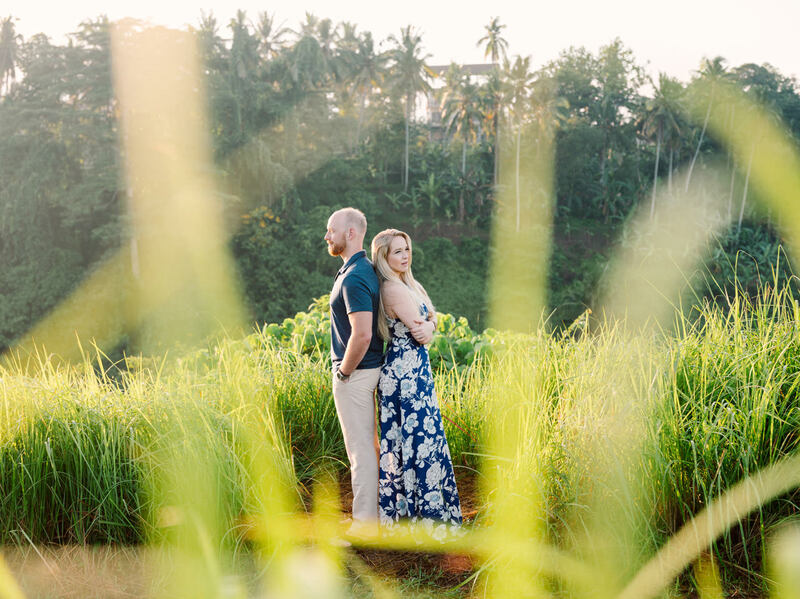 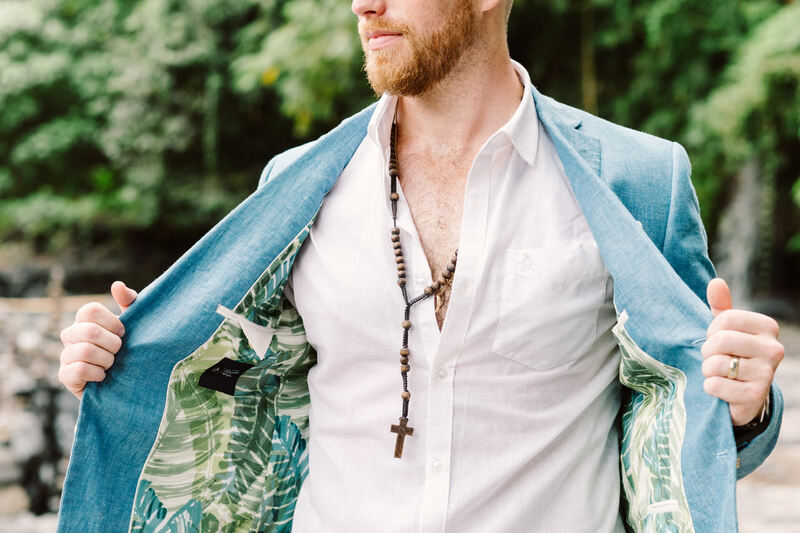 The area provides a great retreat from the more hectic southern parts of the island, but this trail presents an even more pristine outback to escape from the contemporary boutique, guesthouse and restaurant-lined Jalan Raya Ubud. 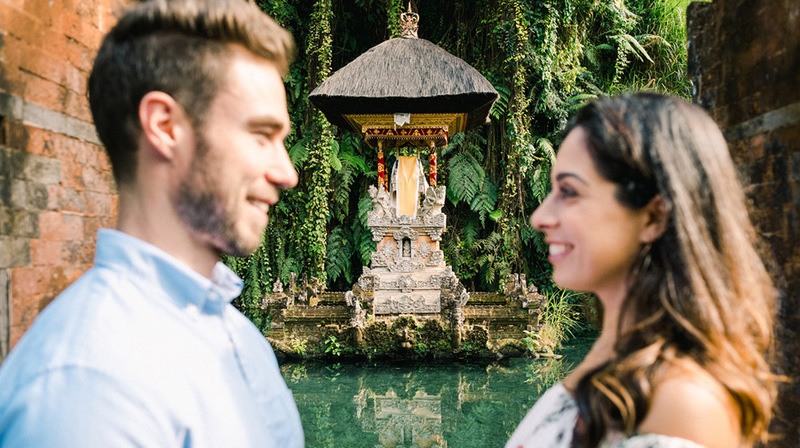 While the hike lets you enjoy cool fresh air and probably the most gorgeous hillside vista in the region, it also allows you to shed off some calories too with its nine-kilometre hill track. 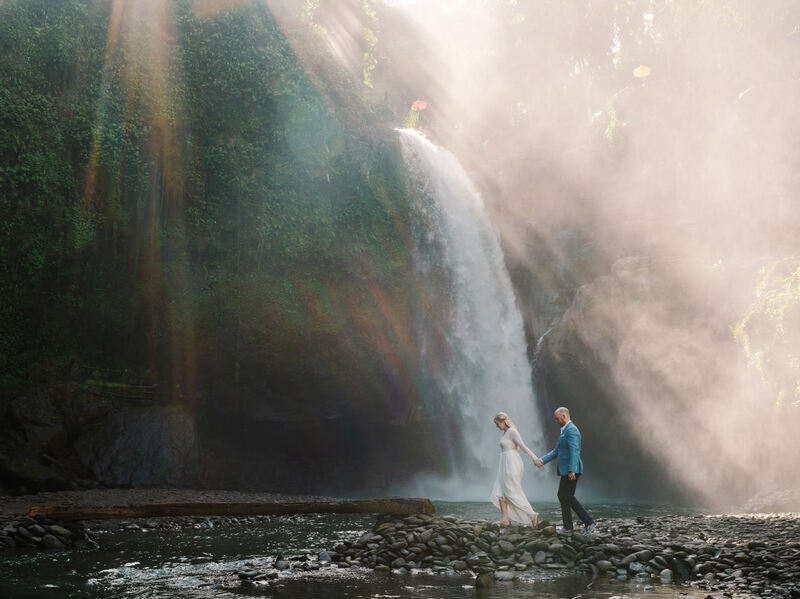 But don’t worry, to do the honeymoon photography at Campuhan Ridge Walk we don’t need to walk for nine kilometre! 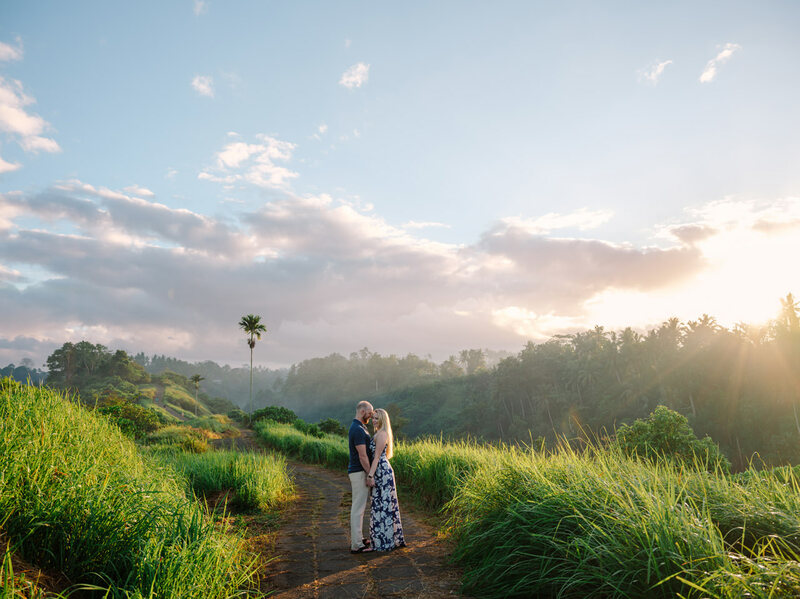 We may pass few people jogging there, but we do the session at starting point which is relatively easy to get. 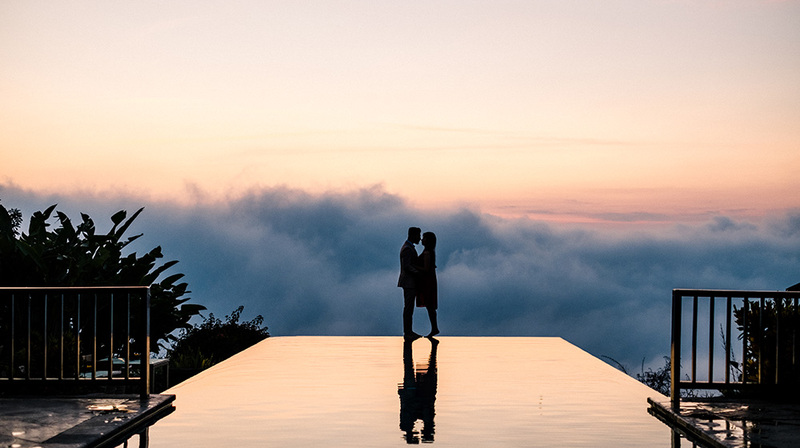 Those staying at the Warwick Ibah Luxury Villas and Spa have the best starting point to the Campuhan Ridge Walk, as the main access is a concrete path just down from this boutique hotel’s main entrance. 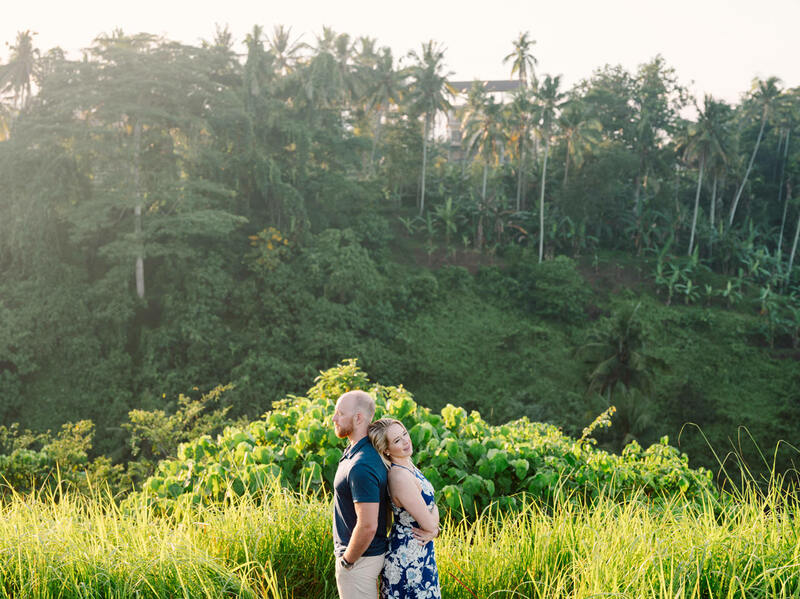 Smaller letterings under the signage of the Warwick Ibah, bears “Going to The Hill” with an arrow pointing left, and as soon as you take on this path, the verdant surroundings of the Campuhan Valley immediately come to sight, lined by dense tropical foliage. 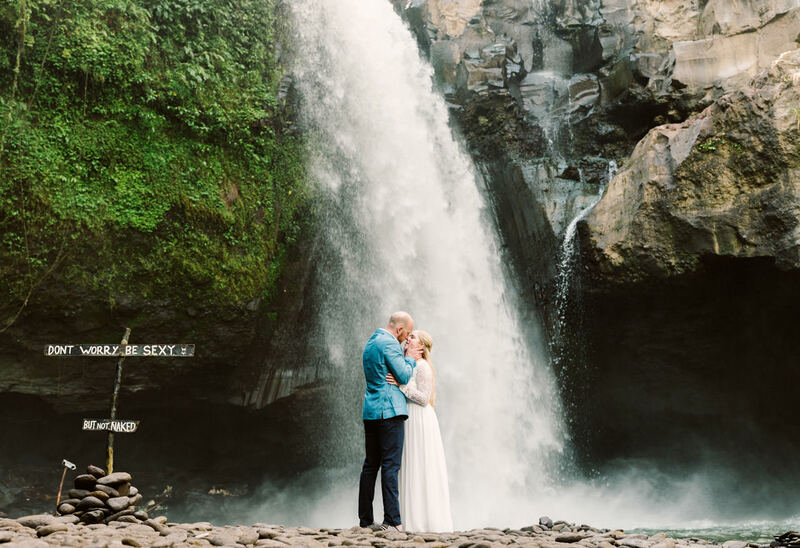 We stop at Blangsinga Waterfall or known as Tegenungan Waterfall for our second shoot location. 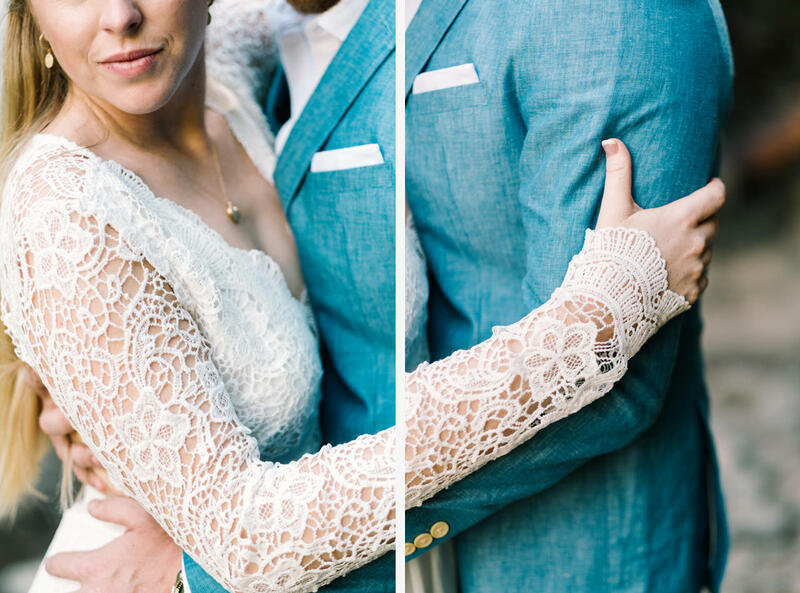 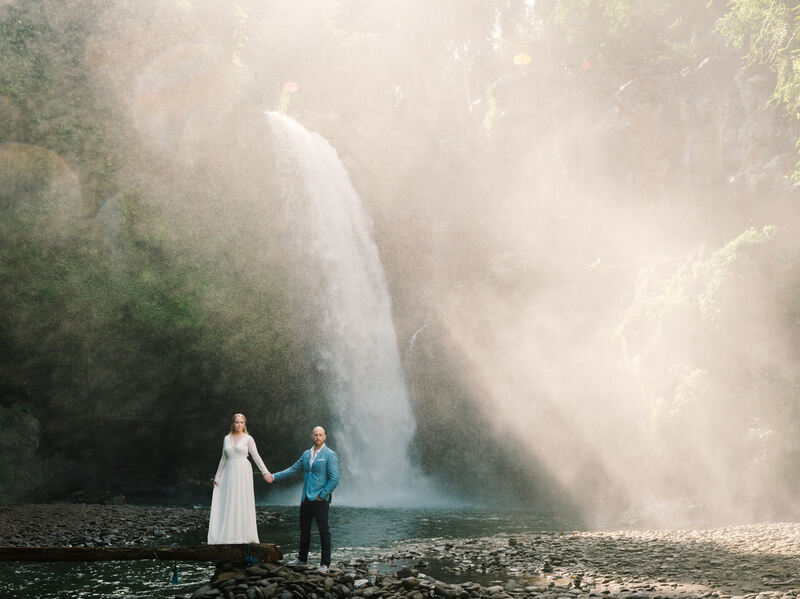 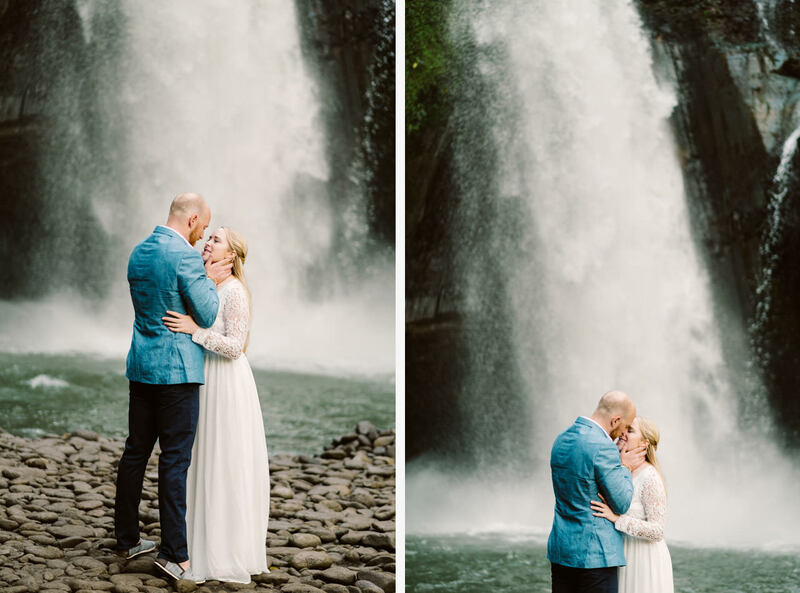 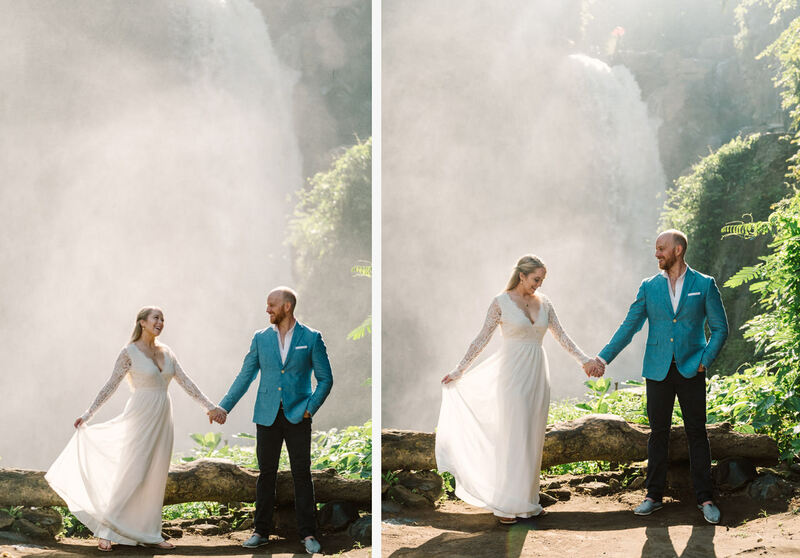 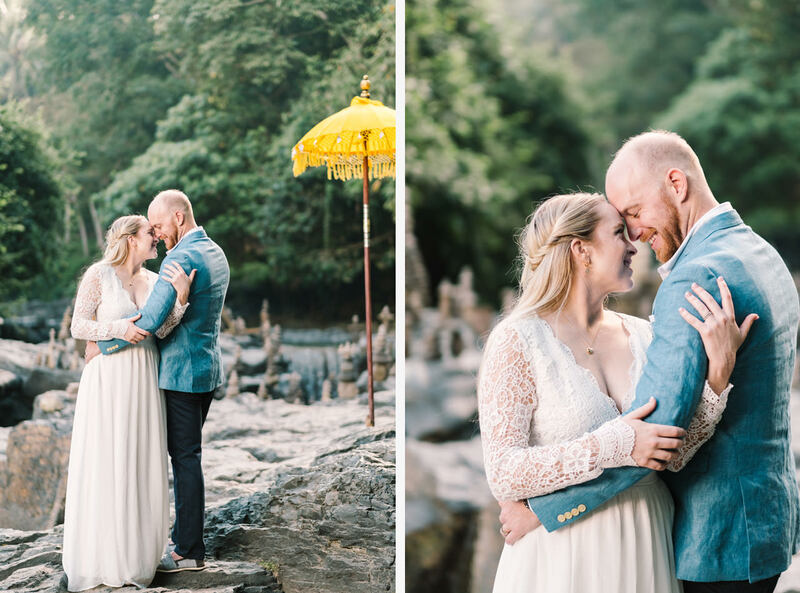 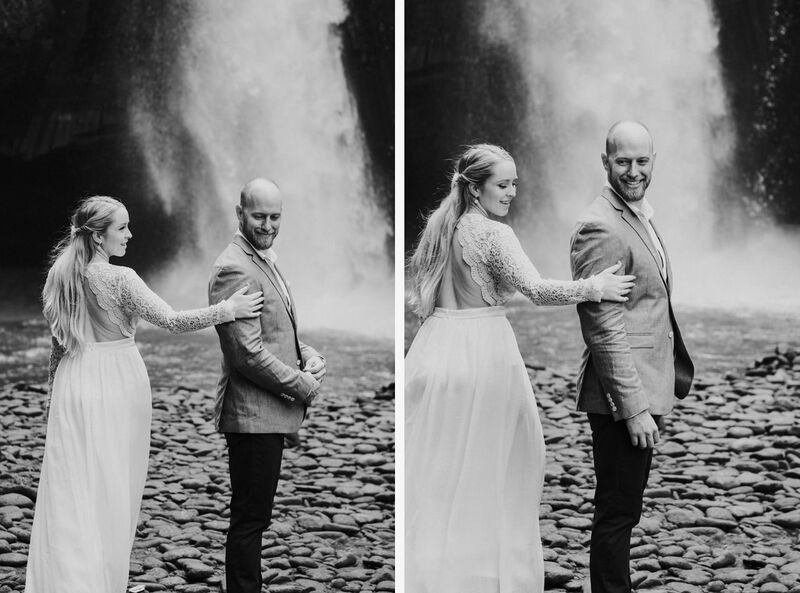 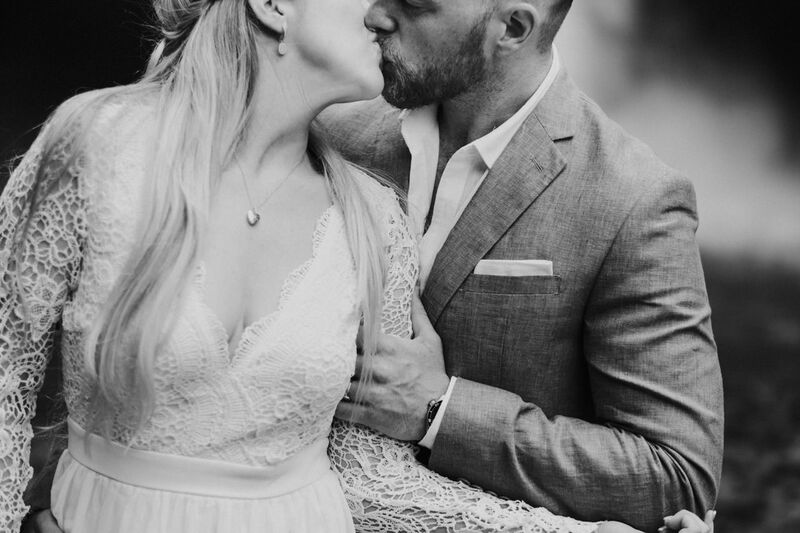 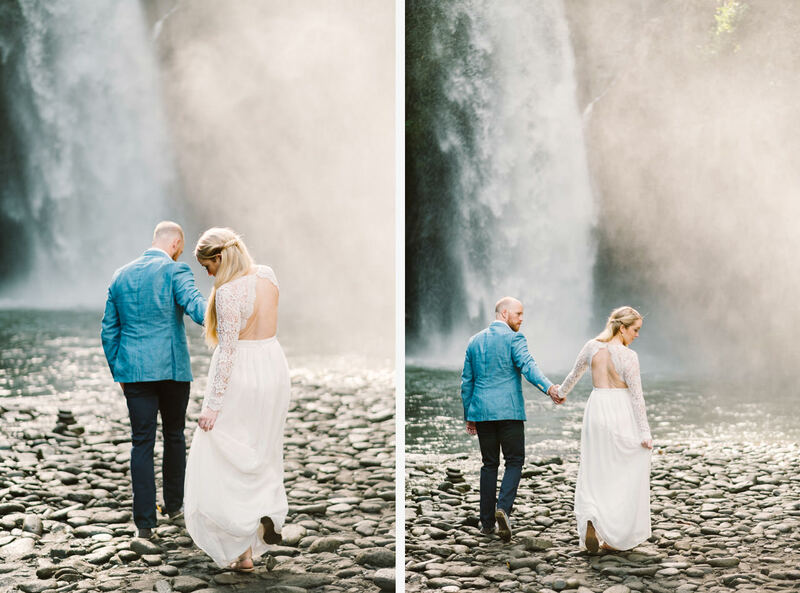 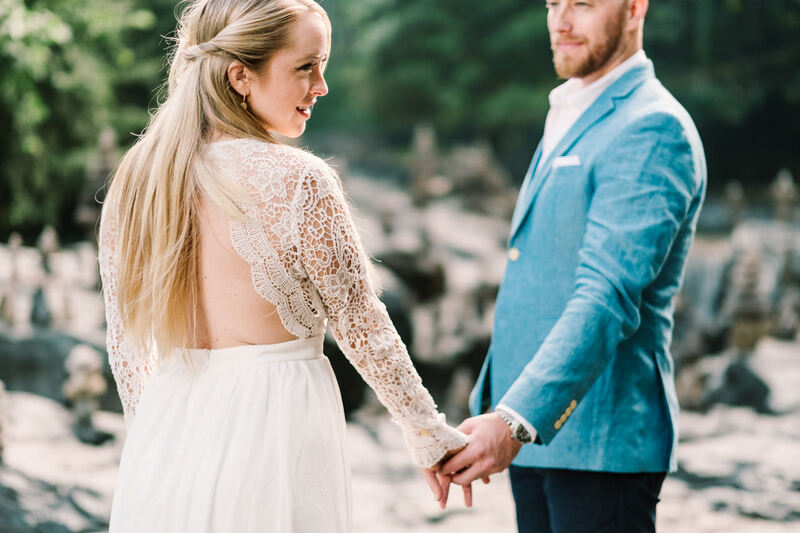 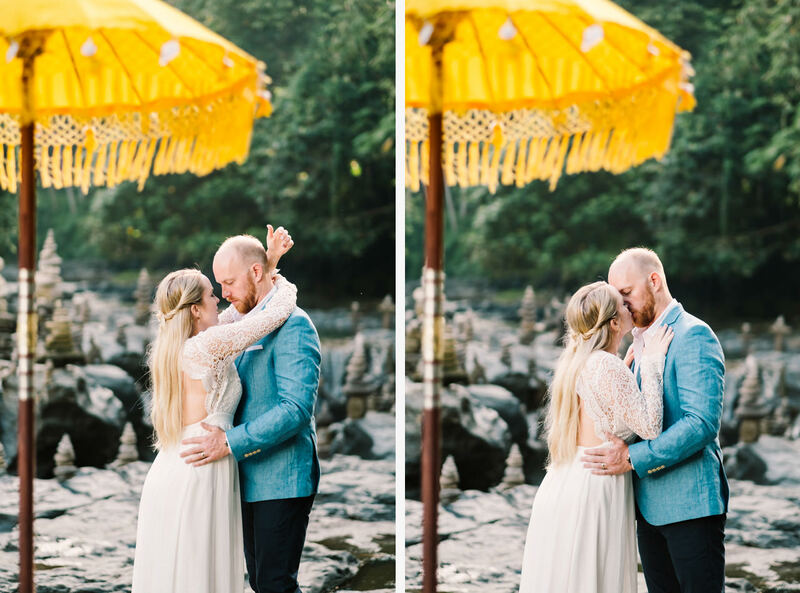 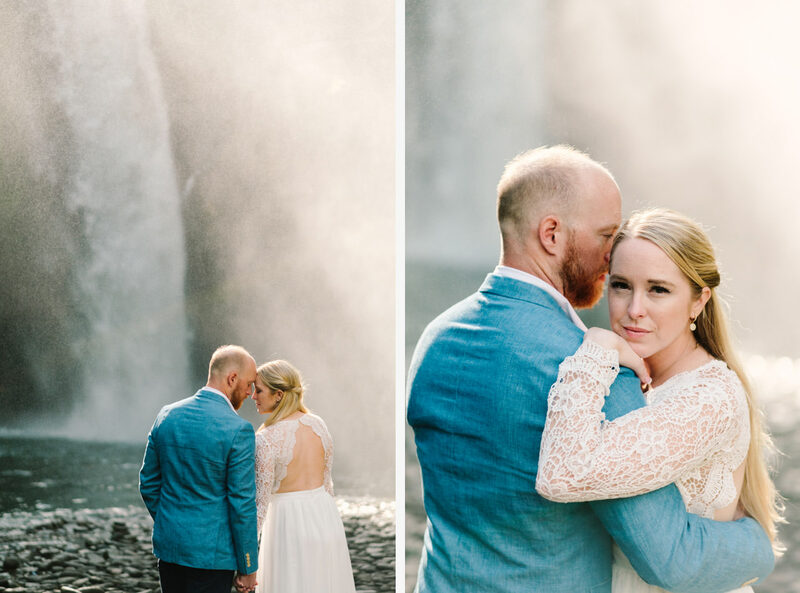 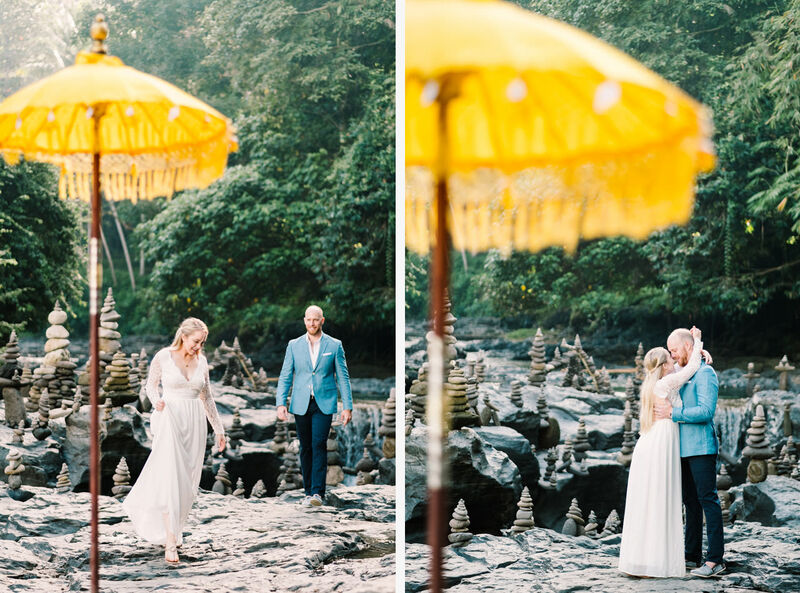 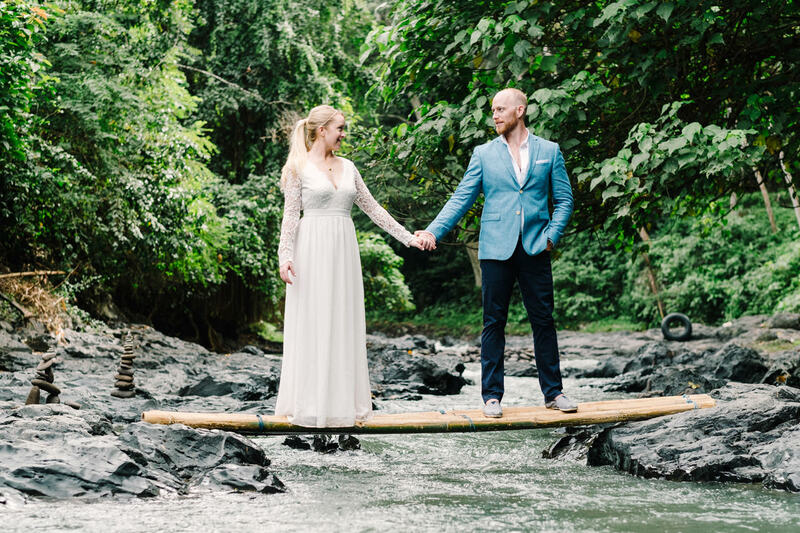 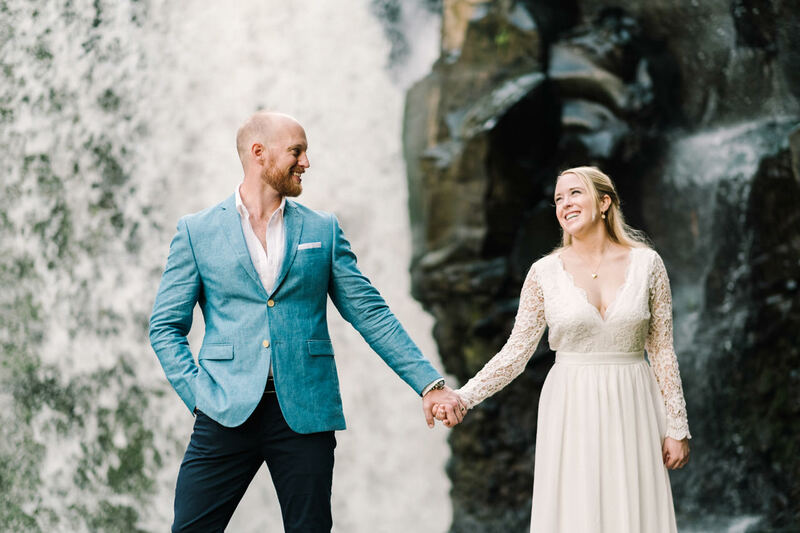 Amy’s white long flowing dress look stunning at the waterfall!